Bekijk de meest iconische bezienswaardigheden van Rome, verlicht op een 3,5 uur durende Segway-tour met kleine groepen door het hart van de stad. Leer om je zelfbalancerende, low-impact rit te sturen, en dompel jezelf onder in de Romeinse geschiedenis en cultuur. Glij door de straten van de Joodse getto, bezoek Piazza Navona en gooi munten in de Trevifontein. Zie de gewelfde buitenkant van het Colosseum op zijn meest dramatische, zoals gouden licht de bleke steen in een scherp reliëf gooit, langs de torenhoge pilaren van het Forum Romanum en glijd in het Pantheon om je eer te bewijzen aan de oude goden van Rome. As others have said, this evening tour is amazing!!! Great start of a vacation in Rome by checking out what is around. This 3-3.5 hour tour is so well worth it. Nothing like seeing Rome in the evening with the important stuff lit up. Our tour guide was amazing. He knows how to take pictures, and we learned a lot from him. This is a must see tour to be on, simply put! Brilliant. Can't recommend enough. Would definitely do again. The segways were great fun and easy to learn. Our guide was great fun, and had a huge amount of knowledge of all the things on our route. Best Tour we've ever done!!! Amazing sites build to your liking. Zipping along in fun segways with a great knowledgeable tour guide Julia was the highlight of our trip. Seconded by my two daughters 12 and 15. We would recommend this tour and company to anyone. They were great!! I truly can't say enough good things about them. This tour was fantastic. Rome is far more beautiful by night! Our guide Quentin was knowledgeable and relaxed, and made the whole night a blast. 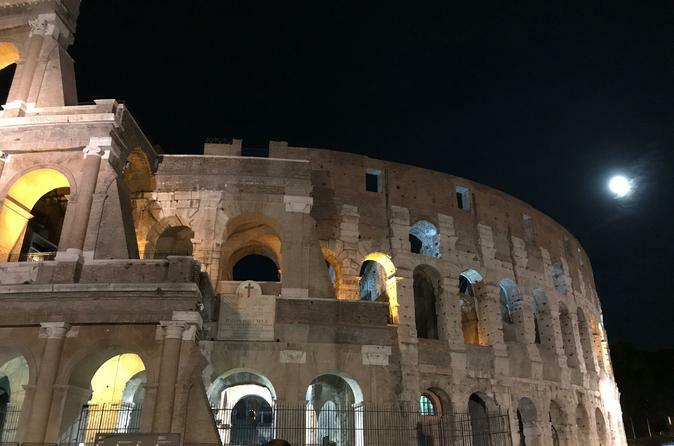 Favorite tour of our two week trip in Italy and we did a lot!!! This was the best! We ended up doing this tour the following morning, as it was much colder than we had anticipated. It was so fun and having never been on a Segway and little worried about my balance, I was able to do it without any problems! Our guide was great and when we asked if we could stop and get a coffee, he took us to a kiosk in a park and introduced us to a lady who had been making coffee there for 52 years! It was the best cappuccino ever!!! The tour was great - we covered so much territory and got to see much more than we would have on foot! My 3 daughters and I went on this tour. ALL OF US LOVED IT! 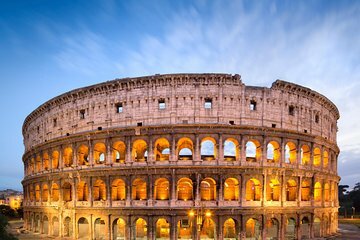 It is a great way to get a feel all of Rome's major sites. I have never used a segway and it was super easy! You have got to do this trip if you are in Rome ! It was the highlight of our vacation in Rome. Our famiy of 7 had an amazing time . Artuo, our guide, has a passion for Roman history. He took us to small little squares and unique places that we would never have seen on our own. Arturo, our guide, was fantastic ! He has such a passion for the history of Rome. He took us through the heart of Rome and amazing back streets and beautiful courtyards. Our family of 7 had a once in a lifetime your of Rome.